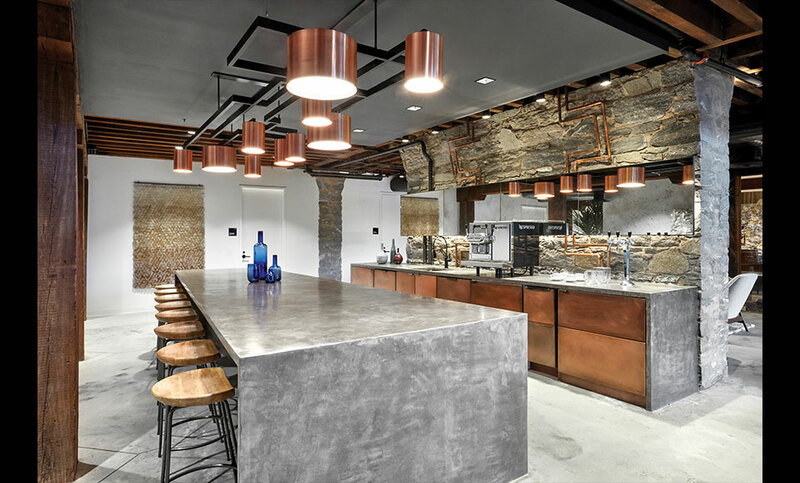 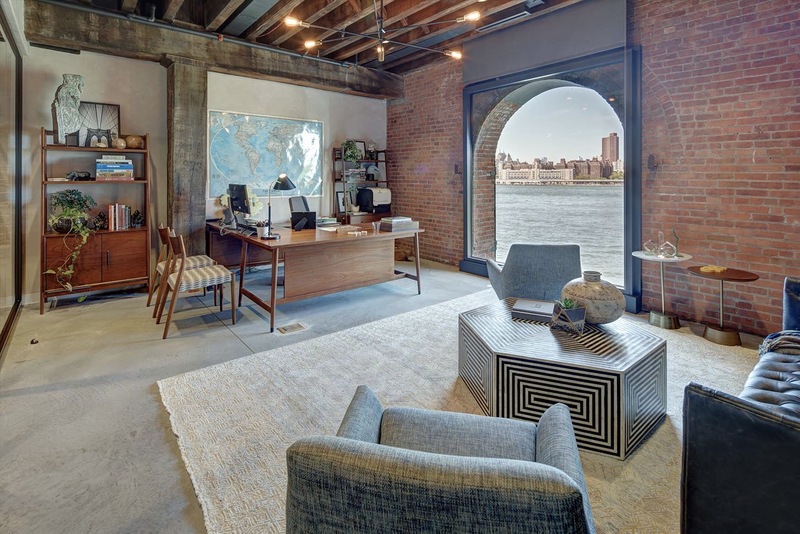 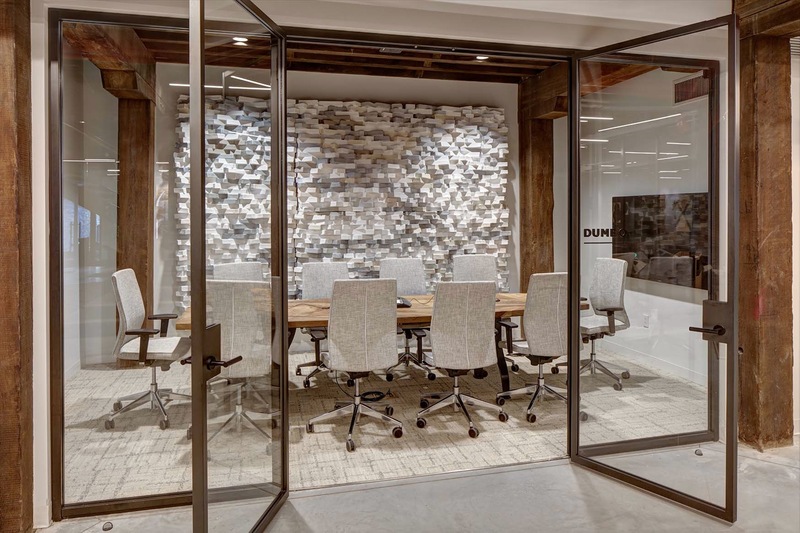 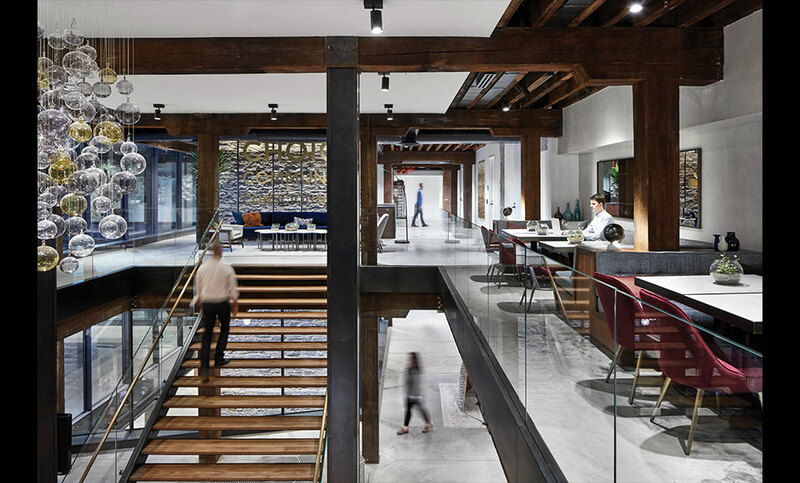 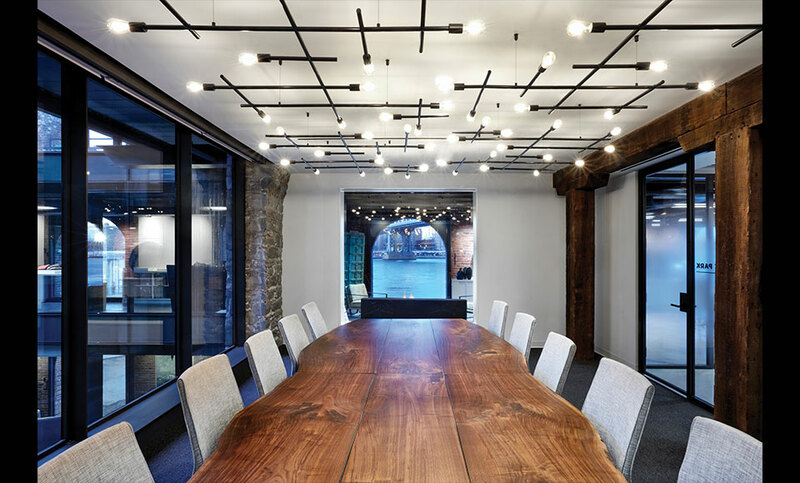 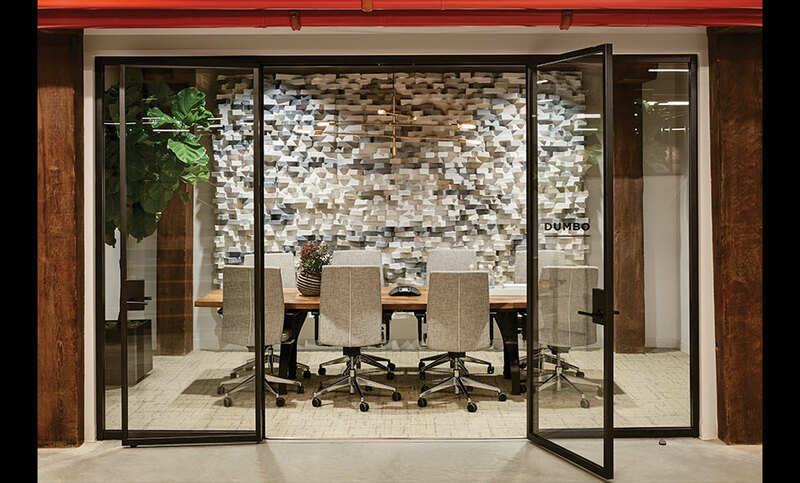 Mc Gowan served as General Contractor for the 120,000 square foot interior fit-out of the West Elm Corporate Headquarters, located on the 2nd & 3rd floors of the iconic Empire Stores building in DUMBO, Brooklyn. 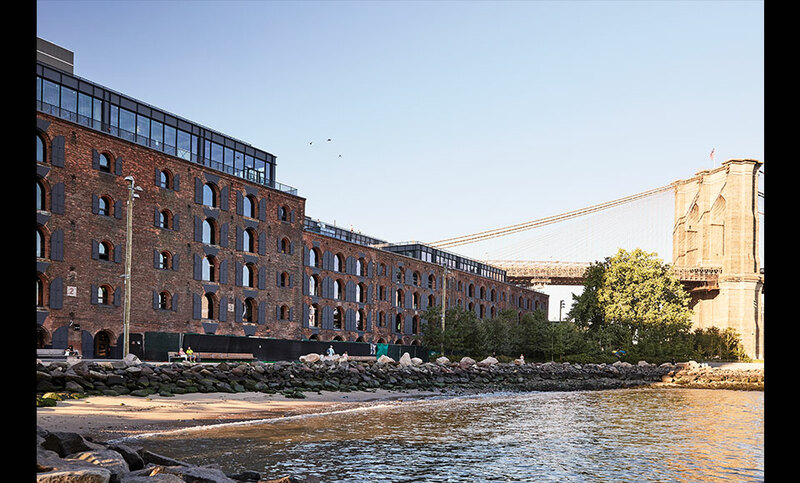 Erected in phases from 1869-1885, Empire Stores was originally a coffee production facility and warehouse that dates back to the early construction of the Brooklyn Bridge. 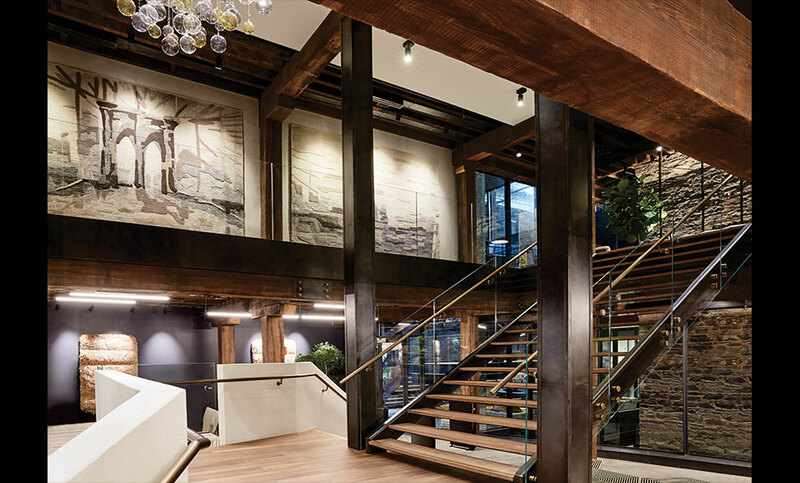 The building is one of a few still in existence in the region that retains its original distinctive features: a brick masonry façade, schist structural walls and heavy frame timber construction. 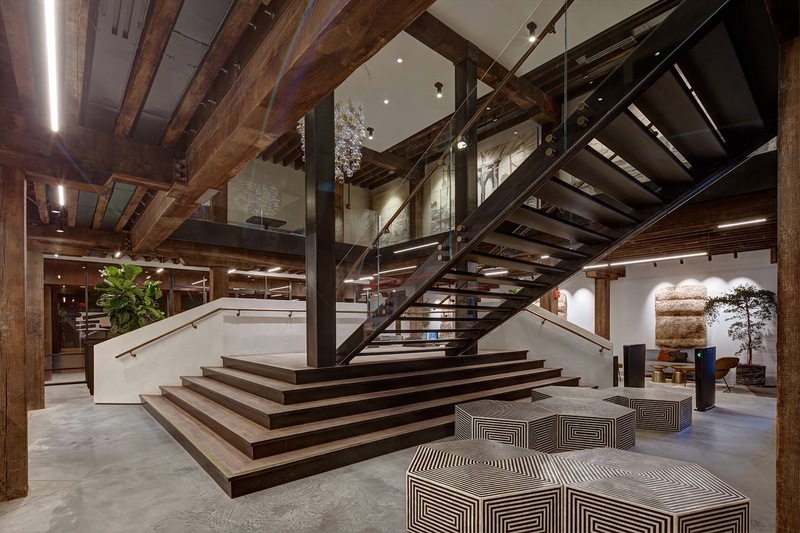 Scope for the open office design included a custom grand blackened steel staircase with glass guardrails, custom spiral staircase connecting the 2nd & 3rd floors, custom wood cabinetry throughout, exposed ceilings to showcase spiral ductwork & custom light fixtures, and all new mechanical, plumbing, electrical, fire alarm, and low voltage systems. 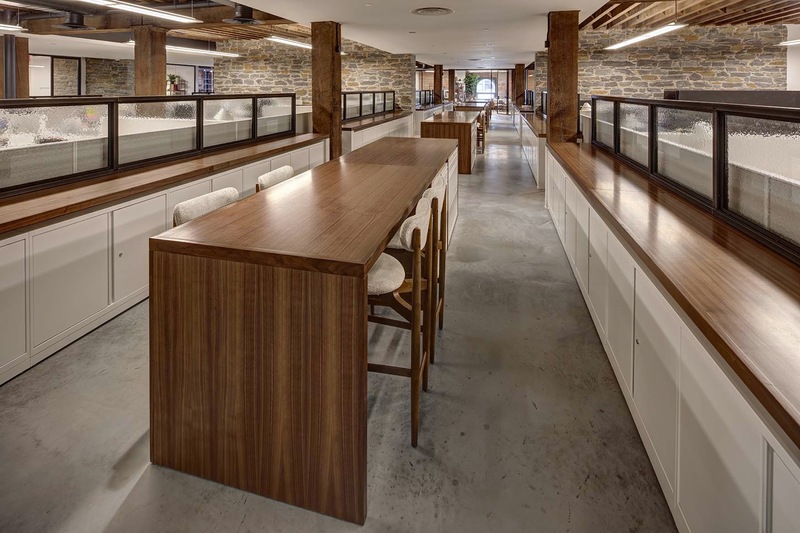 The space's original distinctive features (heavy timber frame, schist structural walls) were cleaned and delicately restored to accentuate the building's history. 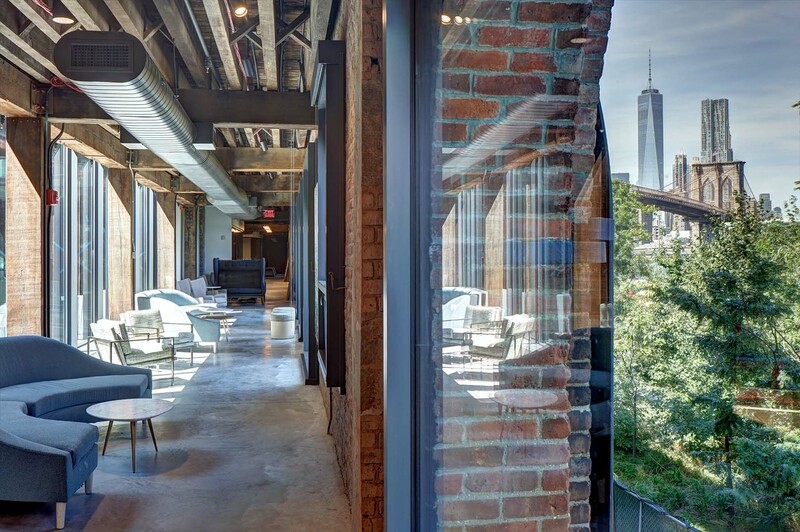 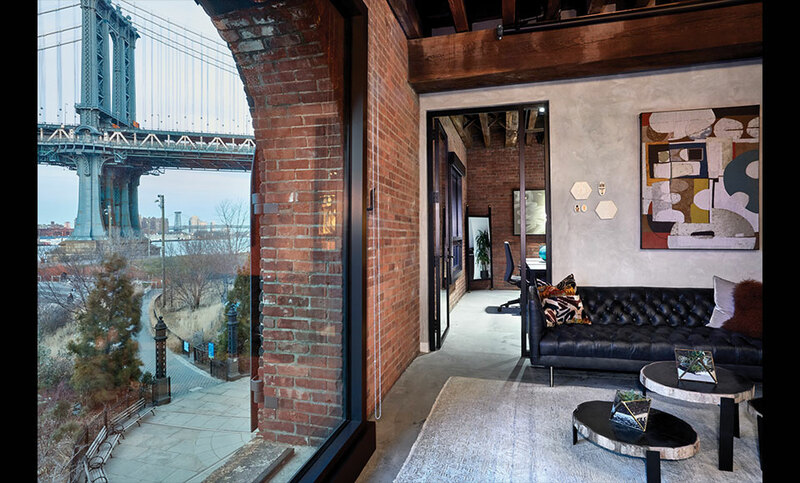 Watch the video above to see how this abandoned coffee warehouse in Brooklyn was transformed. 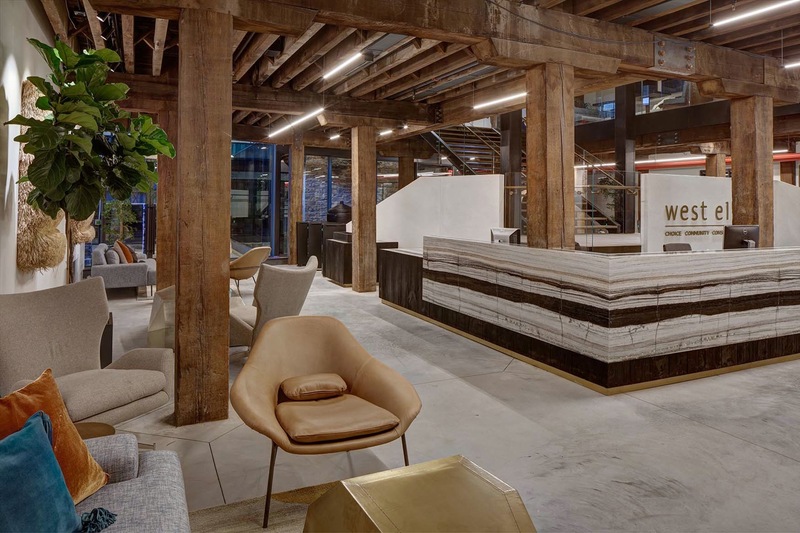 Read more about the unique challenges of the project in this New York Times article. 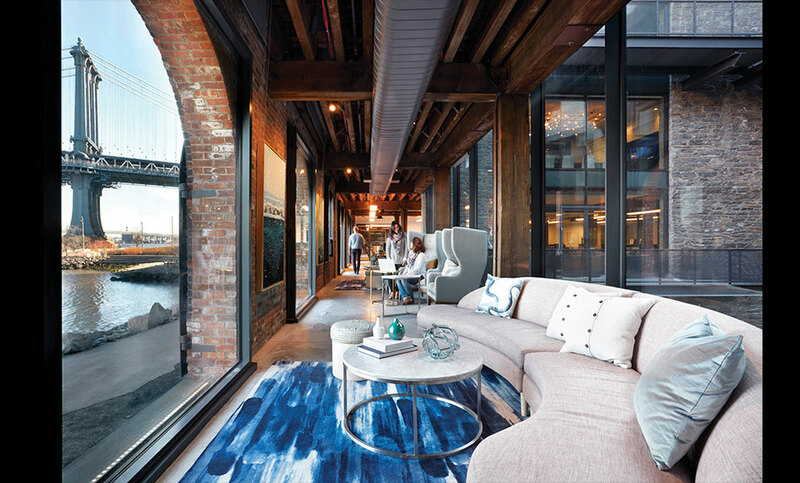 Read a profile of the project in Contract Magazine.